Elopements seem to becoming more and more popular these days and the locations that come with them, are so unique and amazing in their own. Andrea and Brian chose the Addison Farms and Vineyards in Leicester, NC (just outside of Asheville) for their intimate celebration. 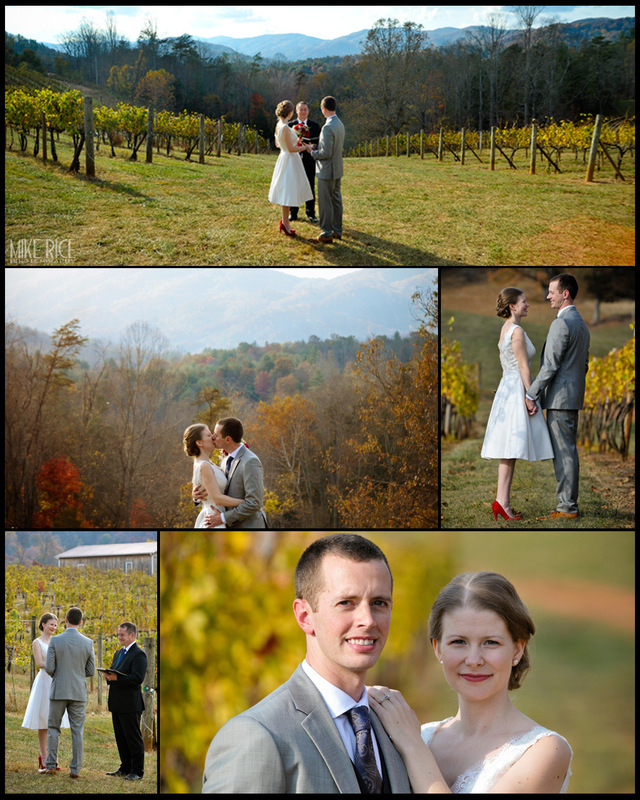 Surrounded by the Blue Ridge Mountains, the setting was so beautiful and filled with the love that these two shared! Congratulations again Andrea and Brian; we wish you so much love and happiness in your life together!